I was sort of a clumsy kid and not at all athletic. Gym was my least favorite class. I hated having to change into those hideous uniforms and then often having to kick balls that I had a tendency to miss, Ugh. But, I was a good girl, a people pleaser so I did my best. Then, one day, I was paired with an equally (seemingly) un athletic girl and we had to count how many times we each jumped rope in a minute period. I think we were instructed it needed to be like 100 times. Neither one of us were able to do it and we agreed to tell the gym teacher that we both did the 100 jumps in a minute even though we both had come up short. A week or so went by and the weight of the guilt nearly killed me. I finally went to my mom and told her what I’d done. She made me tell the gym teacher and jump again. I think I did it that time, I really don’t remember, all I remember was the weight being lifted off my shoulders after telling the truth. But why, why did I feel guilty anyway? See, here’s the thing, guilt is a feeling we get when we have two (or more) conflicting values or desires, (thoughts). I look back now and realize the guilt came because I valued integrity (still do) and I valued success (still do). Guilt says to choose if you want to keep both of those values/desires or change one or both. 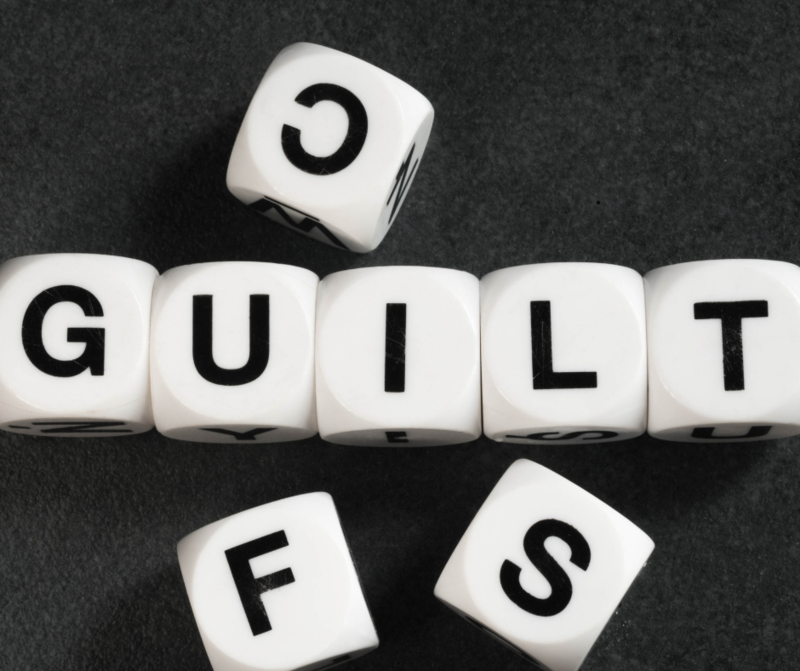 Guilt is useful, it increases our awareness of ourselves, as long as we don’t let it stick around. Acknowledge guilt, take a look at the conflict and then dismiss it. Don’t carry it around like an overstuffed purse. Use guilt to get information and then let it go …just like Elsa. Allowing guilt to hang around leads to shame. Shame tries to tell us something is wrong with us, and shame is always a big fat liar. Let This Be Your New Mantra….